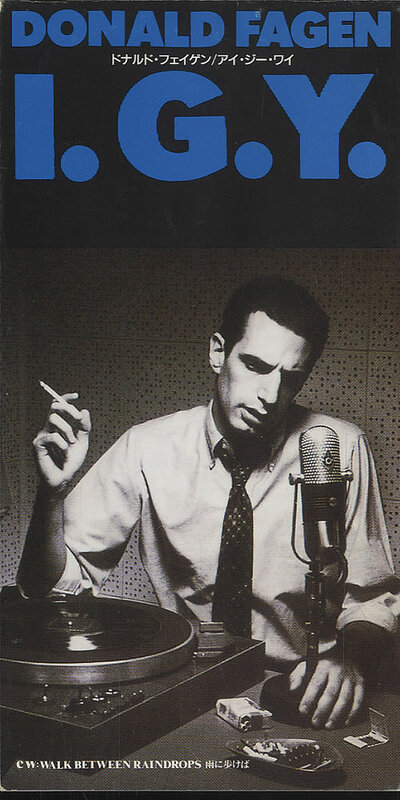 DONALD FAGEN I.G.Y. (1996 Japanese-only 2-track promotional sample 3" CD single issued to radio stations and reviewers ahead of the actual release, also includes Walk Between Raindrops. Custom stamped inner rim on the disc and housed in a uniquepromotional stickered snap-pack picture sleeve with lyrics on the inside WPDR-3035). Tracklisting / Additional Info: 1. I.G.Y.